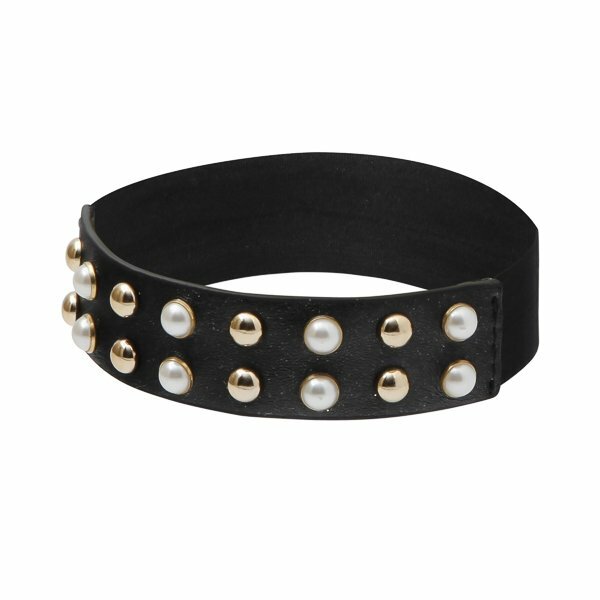 Add a touch of pearliesence with this 100% vegan leather footband accented with rows of alternating gold metal and pearl studs. Just stretch the band around your foot, slide on your favorite pumps or flats and get ready to shine. 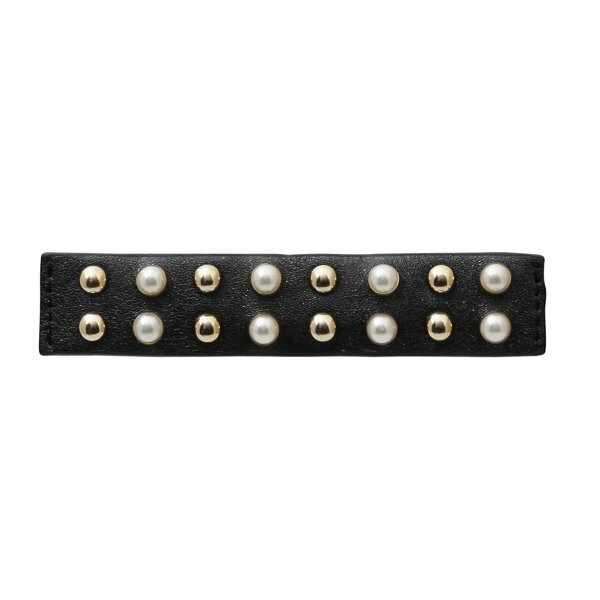 Rebel Jane Shoecessories™ are made from 100% vegan leather embellished with golden metal studs and pearl studs with golden bezels; it is backed with black PU with a soft black elastic band. Measure ¾” wide. Fits most size feet.